Tomorrow is Easter Friday and a reminder to us of pure love. It is also the perfect time to take a minute to let your kids, family and friends know that you cherish and love them. 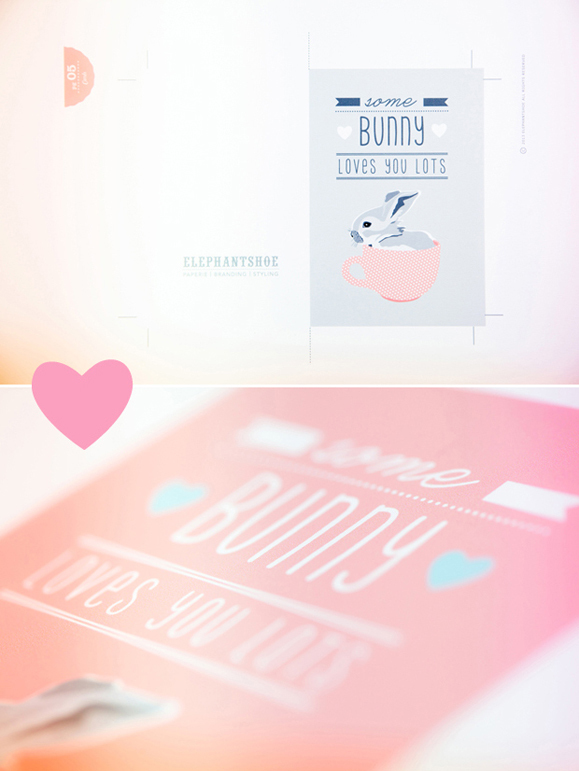 Simply download our "some bunny loves you" free printable, trim along the crop lines, fold and write your special words inside. Pop into a C6 envelope or bitty bag and attach to a box of Easter Eggs or a chocolate bunny. You can even bake these scrumptious Hot Cross Buns and give one of our cards alongside a homemade treat. These cards are available in mint, pink, grey and purple. A very big thank you to Andre and Maritsa from Blackframe Photography for once again working with us to capture all the photographs in this post and for editing them so beautifully. Please hop on over to their blog to see more of their fabulous photography.